When you head out to shop for your new Toyota, the first step is to choose a dealership. While there are many companies that sell Toyotas, some offer more quality service than others do. Checking the dealership with the Better Business Bureau and checking reviews are good ways to determine if a business is legitimate. This way, you can see what other customers have to say about their experience and find out if anyone has filed any complaints that were never resolved. 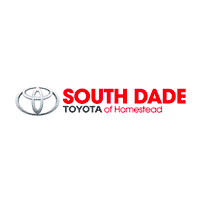 Once you have narrowed your options down to a select few, use the information below to help you find the best Toyota car dealership in your area. When you buy or lease a Toyota, you want the sales representative to provide friendly, professional service at all times. It’s easy to find someone that meets these requirements when you’re making the deal but you want a Toyota dealer in Miami that’s going to continue to provide the same quality service after you’ve signed the agreement, not just when he’s making the sale. You never know when you might run into a problem and you need to know that the dealership is there to take care of everything for you. It’s important for them to continue to be friendly and to go that extra mile to make sure you’re happy and satisfied with your purchase. Another reason this is so important is because a representative that is friendly and professions will also be a good listener and he can help you find the best match for your needs. Buying a vehicle is best for some people while leasing one is better for others. When the salesman is attentive, asks the right questions and listens to your needs, he can help you find the perfect match. It’s good to know what type of services the Toyota dealerships offers before choosing the company you want to do business with. Most all dealerships offer basic maintenance such as oil change, rotating tires and tune-ups but some offer more in-depth services. For example, look for a company that offers regular maintenance checks to help keep your new Toyota in excellent condition. Even new vehicles require regular maintenance to keep them in good shape. Some dealerships will even offer twenty-four hour roadside assistance plans that will tow your vehicle to their shop in the event you have a flat tire or you’re involved in an accident. A dealership that also provides bodywork will help ensure your vehicle is restored back to its original shape, if there is an accident. Since you’ll be dealing with a legitimate Toyota dealership, you can rest assured the job will be done right. Some dealers will even offer onsite rentals so you won’t be without a vehicle while yours is being repaired. Choosing a Toyota dealership that offers these services will make your experience a pleasant one whether you’re leasing or buying the vehicle. It’ll make it more convenient for you to keep your Toyota in good shape because they’ll provide all the services you need to cover everything from meeting the maintenance requirements of your warranty to repairing your vehicle in the event of an accident.